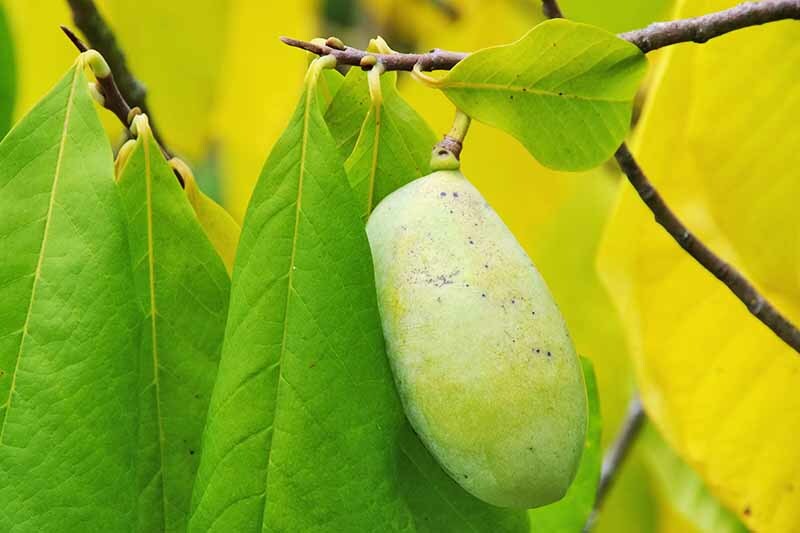 Have you heard of the pawpaw, Asimina triloba? It’s the largest native North American fruit, and it has a tropical flavor and custardy texture. 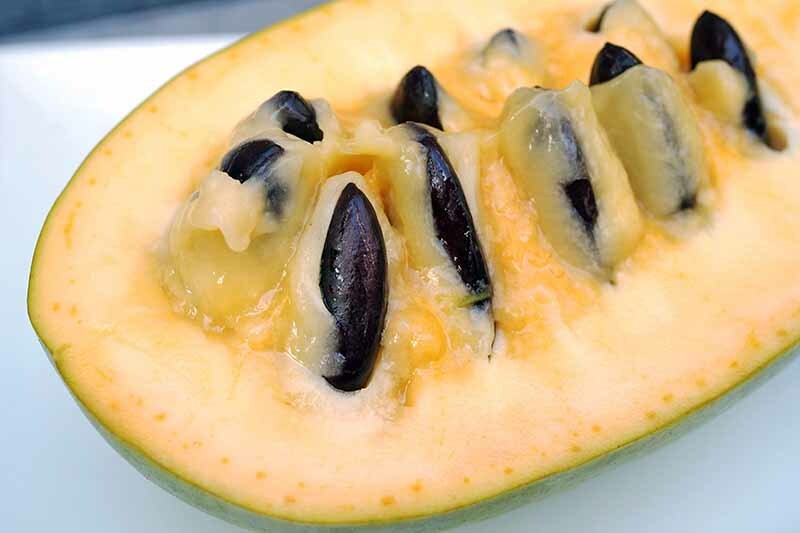 If you’re confused, that’s because there are other tropical fruits called pawpaw, including the papaya, Carica papaya, and the graviola, or soursop, Annona muricata. It is a hardy deciduous perennial that grows as either a tree or shrub. Fruit is optional because the plant does not self-pollinate. With or without fruit, its drooping golden leaves in fall and musky, maroon flowers in spring make for a striking and structural focal point. Read on to discover a temperate zone fruit once so popular it was celebrated with song, and learn how to grow it in your home landscape. Also known as “Indiana banana,” “Quaker delight,” “Appalachian banana,” and “poor man’s banana,” the pawpaw is a member of the Annonaceae, or custard apple family that includes cherimoya, Annona cherimola, and graviola, aka soursop, A. muricata (mentioned above). And while the fruit has an appealing flavor, there are some people for whom consumption causes stomach upset. This is due to the chemical compound annonacin, which is also present in the bark and seeds. In addition, the pulp and twigs contain acetogenins, metabolic compounds toxic to some cancer cells. 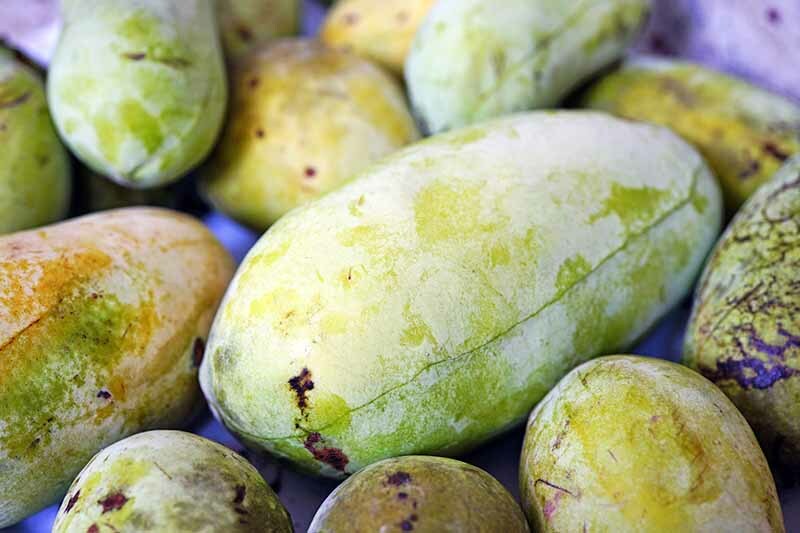 However, Sloan Kettering advises its cancer patients : “There are no published clinical studies in humans to determine the safety of pawpaw for cancer treatment,” and goes on to warn patients who wish to consume the fruit that they may experience allergic reactions, neurotoxic effects, or vomiting if they do. Pawpaw fruit perishes quickly after ripening, so it is not currently a commonplace grocery store commodity. 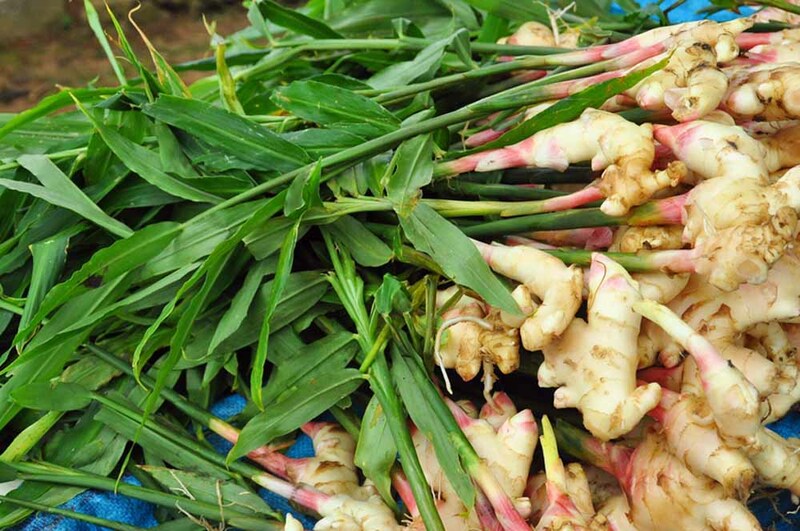 Instead, it’s the domain of small-scale farmers and home growers who often supply it to farmers markets. In addition to fresh fruit and frozen pulp, extracts are available in pill form for the purported purpose of boosting cell health. At a length of up to six inches, the pawpaw is North America’s largest native fruit. The abundant fruit of a pawpaw tree. It’s an overlooked legacy from Mother Nature that harks back to gentler times, when bonneted girls and straw-hatted boys went fruit picking in bare feet on summer mornings. Way down yonder in the pawpaw patch. These old Appalachian lyrics have been sung around many a campfire, including the girl scout jamborees of my childhood. But although I was in prime pawpaw territory, I grew up with only the word, and not the sweet flavor, on my tongue. So, what’s a pawpaw patch? 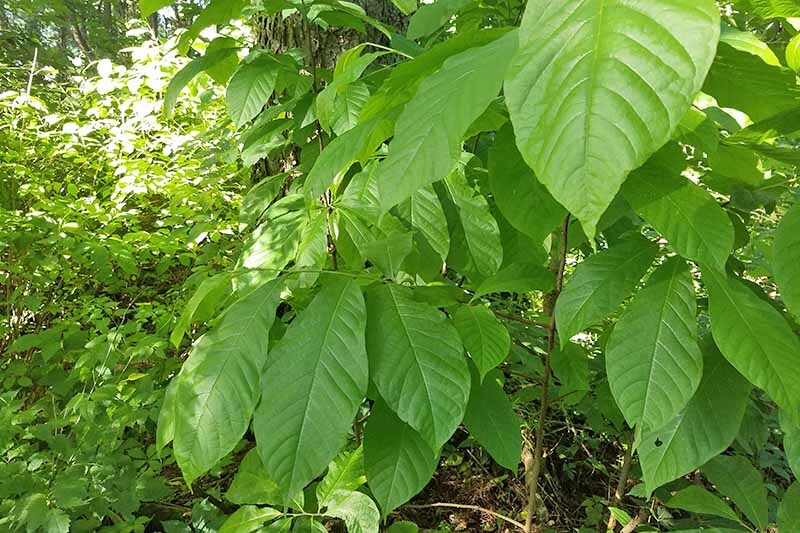 A. triloba is a plant that thrives in organically-rich areas along waterways, in woodlands, and on hillsides, where the ground is especially moist. 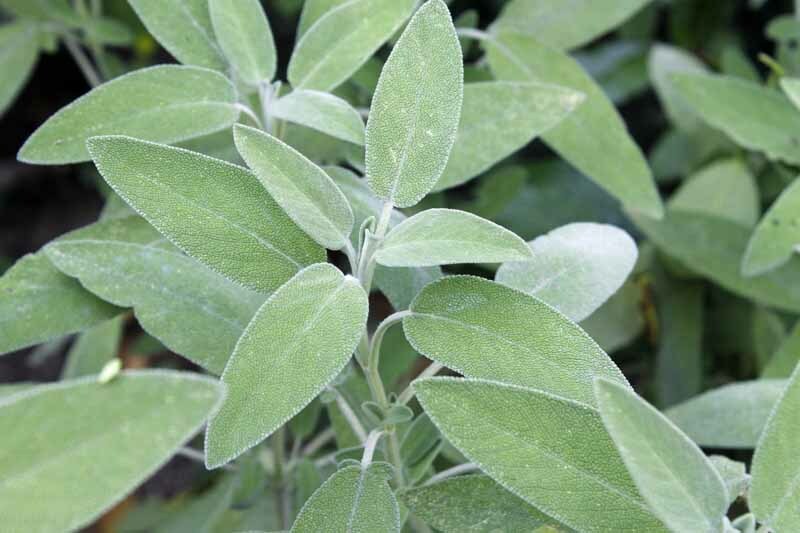 It may have the habit of either a tree or a shrub. As an understory plant, beneath the partial shade of deciduous trees, it is shrub-like. But in the full sunshine of open spaces, it’s a pyramid-shaped tree that may exceed 30 feet in height. Both types generate suckers that grow into additional plants and eventually a thicket of growth, or the proverbial patch. 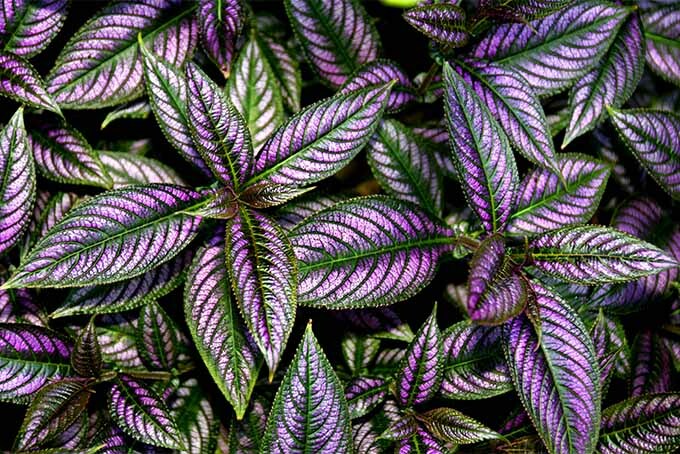 My first physical encounter with this plant, no lie, was in my sister Susie’s backyard. Yes, after singing about them for years, she grew up and planted a patch of her own. And in my area, the fruit is gaining popularity thanks to an organization called the Philadelphia Orchard Project that plants trees for public foraging and supplying local farmers markets. This is no easy task, as fresh-picked fruit lasts only about two days. Athens, Ohio grower Chris Chmiel runs Integration Acres, the “world’s largest pawpaw processing plant.” I recently heard Chris speak as a guest on the Gastropod podcast, in an episode entitled “Pick a Pawpaw: America’s Forgotten Fruit.” Because the fruit is so perishable, his team picks, processes, and sells it frozen. Buyers include craft brewers. Chris has revived interest in this under-cultivated fruit by founding the “largest pawpaw festival in the world” and sharing its folk culture. 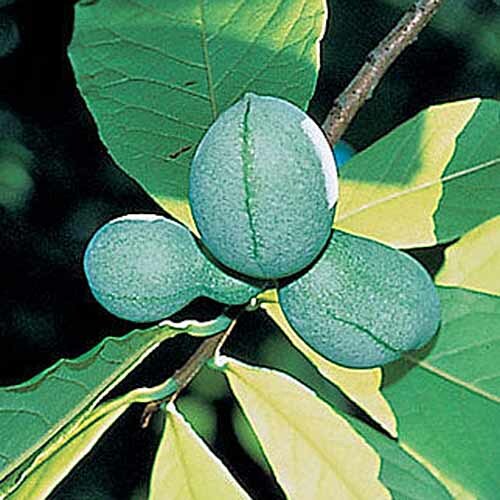 It seems that the location of patches in the wild and the names of places in the “pawpaw belt” support the theory that Native Americans not only foraged for the fruit, but likely cultivated it as well. From Early American days to the beginning of the twentieth century, folks scooped the sweet flesh from ripe skins to make jams and puddings, finding it plentiful in the wild. 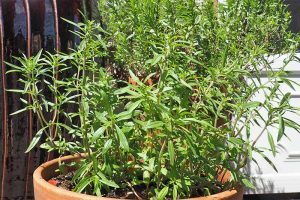 Herbal practitioners used the toxic seeds, bark, and leaves in a range of homeopathic remedies, from insecticides to emetics. 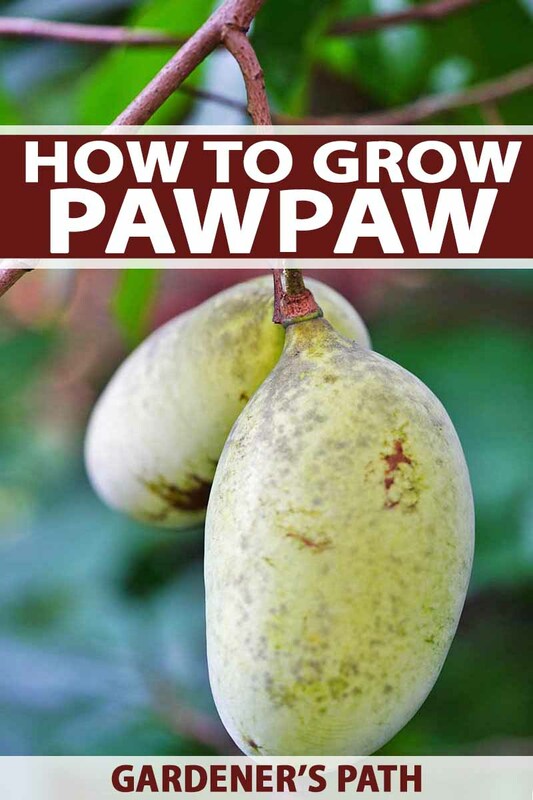 In 1916, The Journal of Heredity’s Contest for the Best Pawpaws invited participants to send their local varieties to the American Genetic Association. Prizes were awarded for the best, and they were studied for possible propagation. 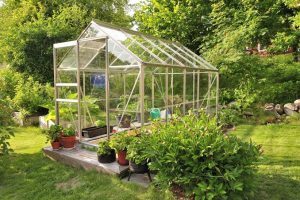 Over the years, the early pioneers of propagation died, commercial viability did not come to fruition, and research waned. Sadly, at least 35 cultivars identified between the 1890s and 1960s are now extinct. It wasn’t until the 1970s that serious interest resurfaced. When West Virginia University plant genetics student Neal Peterson tasted the fruit, he was inspired to pick up where early researchers had left off. In 1999, he partnered with Kentucky State University to conduct the Regional Variety Trial, with the cooperation of numerous universities, to evaluate cultivars for possible commercial production. 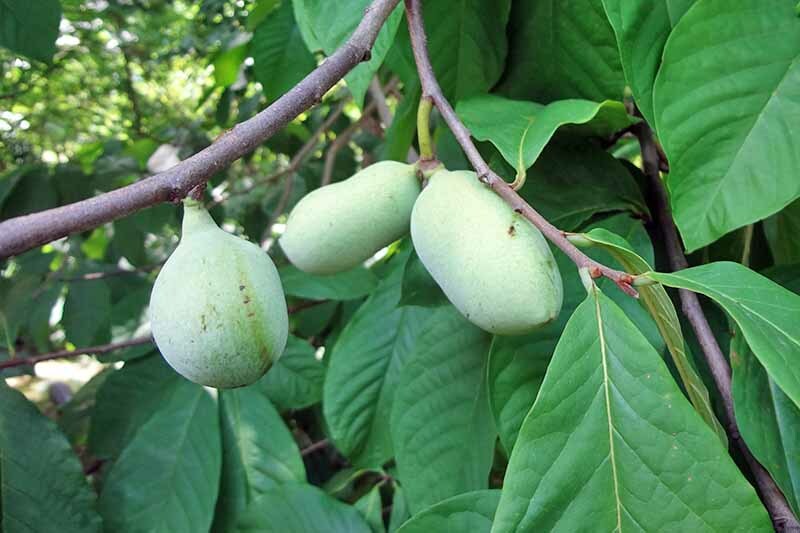 Today, Neal Peterson continues his work, cultivating, researching, and teaching in the Kentucky State University Pawpaw Program, and Peterson’s Pawpaws are widely available for the home gardener. Large-scale commercial production remains a goal of the future. Are you ready to revive a once celebrated native fruit in your outdoor landscape? Here’s everything you need to know to ensure success. 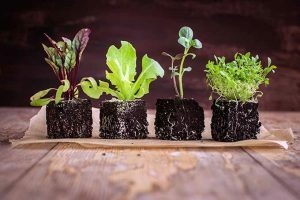 For optimal results, you’ll need moist soil with a neutral to slightly acidic pH that is organically rich and drains well. Contact your local extension office to have your soil tested, and adjust pH and add amendments like compost and nutrient-rich fertilizer per the instructions in your test report. To grow a tree, choose a location in full sun. It should be somewhat sheltered, either by a nearby building, fence, or shrubbery, because high wind is known to damage pawpaw, permanently twisting its branches. 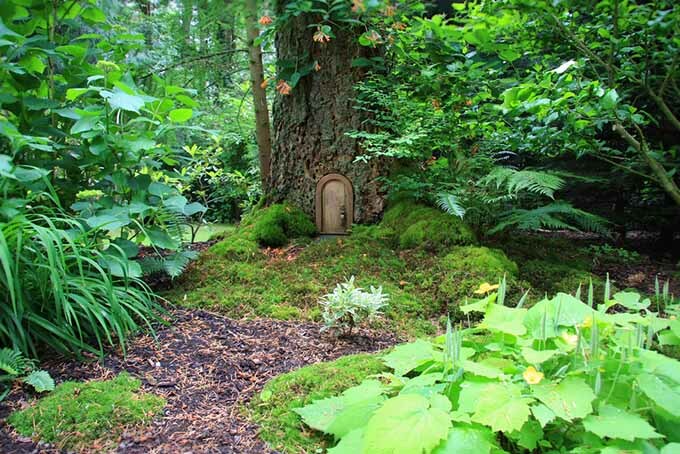 Mature dimensions may reach 30 feet tall and 20 feet wide, with compact branches for a conical shape. For cultivation as a shrub, select a partially shaded location beneath a canopy of tall deciduous trees, where looser, sprawling growth has room to roam. Decide whether you are interested in fruit, because pawpaw pollination poses a challenge. 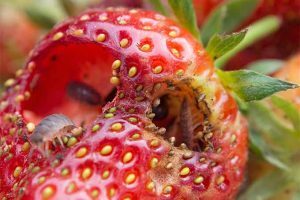 The best method to ensure a fruit crop is to plant at least two totally different cultivars on your property, as well as an array of nectar-rich plants that attract pollinators. 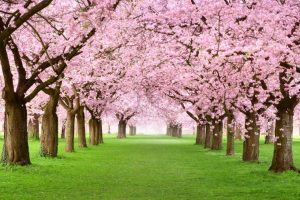 The pros at Peterson Pawpaws recommend planting trees no more than 30 feet apart. The pawpaw tree’s unique flowers are a nice addition to the landscape. 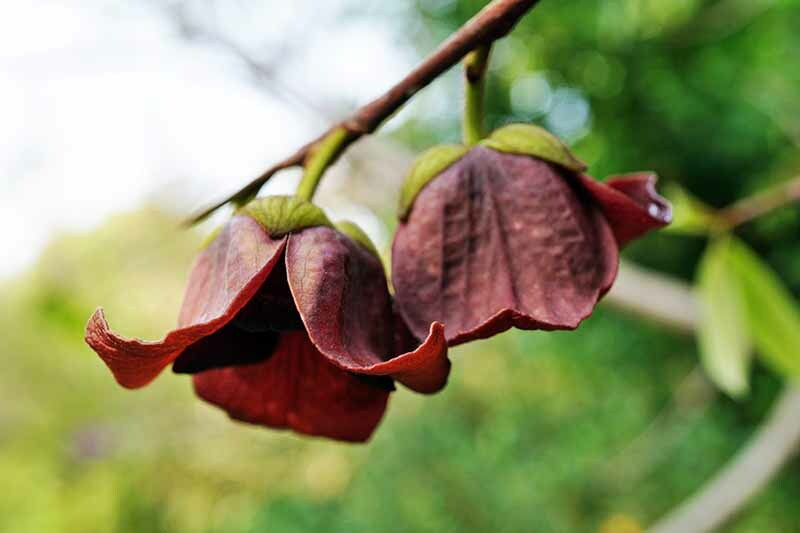 The horticulturists at the Ladybird Johnson Wildflower Center in Texas explain that pawpaw produces many flowers that seldom self-pollinate, and are in fact, “self-incompatible.” Flies and beetles are the major pollinators of A. triloba, and growers have been known to hang roadkill from branches to attract as many flies as possible. 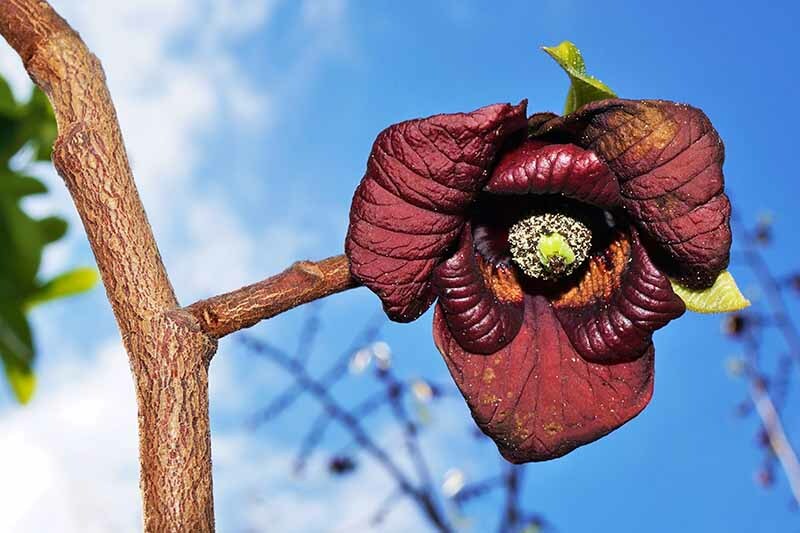 Another method of pollinating is to use a paintbrush and manually pollinate pawpaw blossoms of one variety with those of another, a technique that’s beyond the scope of this article. 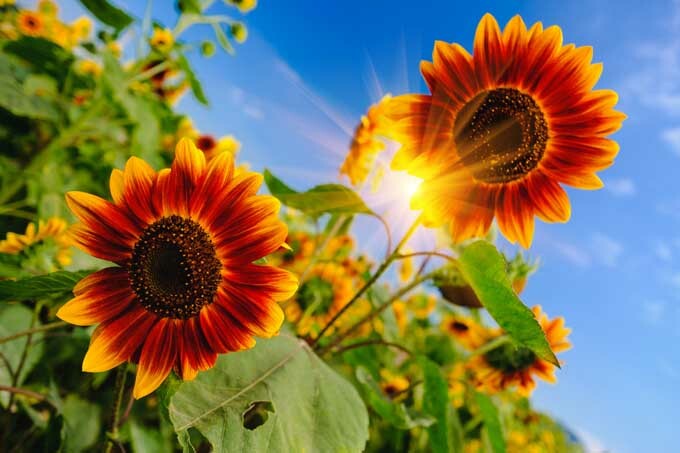 Rodale’s Ultimate Encyclopedia of Organic Gardening says there’s an old cultivar called ‘Sunflower’ that doesn’t require cross-pollination, if you can find one! First, the plant has a long taproot that may be damaged. Second, plants dug in the wild seldom transplant well to the home garden. Per Carla Emery, author of The Encyclopedia of Country Living, if you find some ripe fruit, simply put it in the ground whole and cover it with a thin layer of soil. If seeds sprout, thin them out later. Like many seeds, those of A. triloba require a period of cold stratification to germinate. But unlike many seeds, they must be kept moist. So, planting whole fruits post-harvest in the fall addresses both issues. However, even if they do grow, plants and fruit produced from wild seeds are likely to be inferior to today’s cultivars. These cultivated varieties are bred for desirable characteristics like disease resistance and exceptional fruit quality. 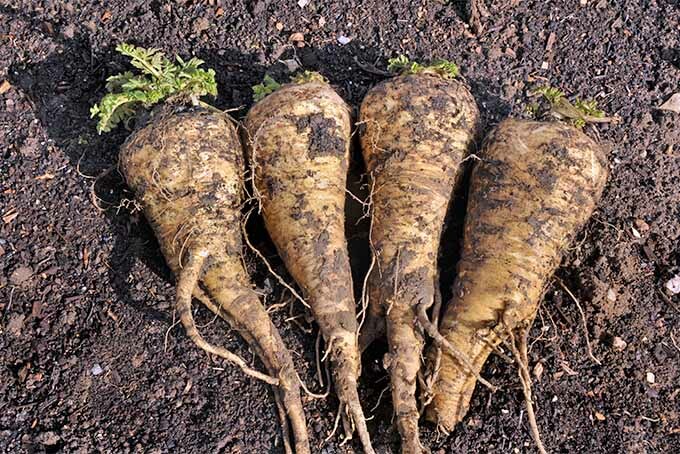 Also note that the seeds from modern varieties, particularly hybrids, produce uncertain results, and often bear no resemblance to a parent plant. Another propagation method is to take a stem cutting (scion) from a tree or shrub, and graft it onto sturdy rootstock (clone). Work the soil down about a foot until it’s loose and crumbly. Make a hole in the earth as deep as the pot and several inches wider. Unpot your plant and loosen the soil and any rootbound roots. 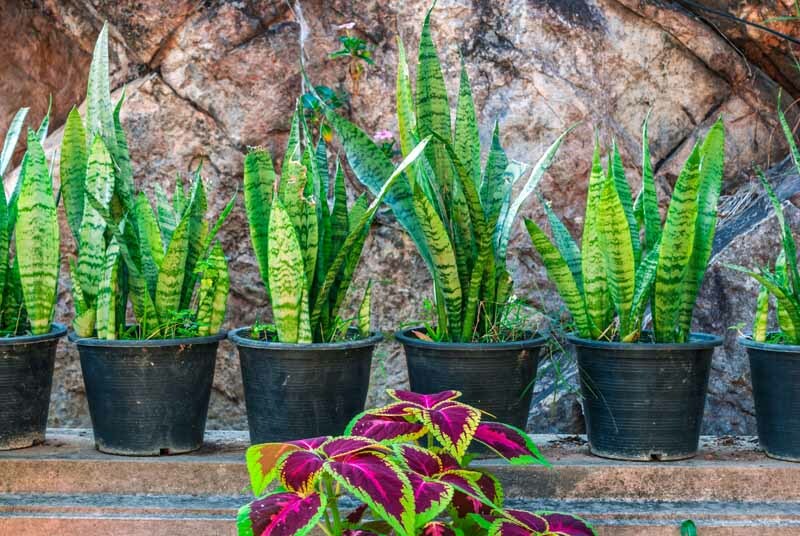 Place the plant with its dirt into the hole, making the top of the pot soil even with the ground soil. 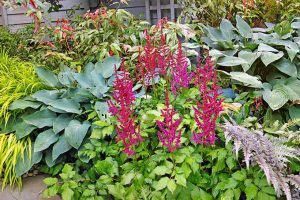 Make a ridge of earth around the plant and apply a layer of mulch to aid in moisture retention. 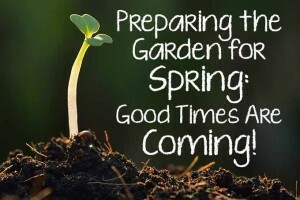 Water thoroughly and keep the soil moist throughout the growing season. 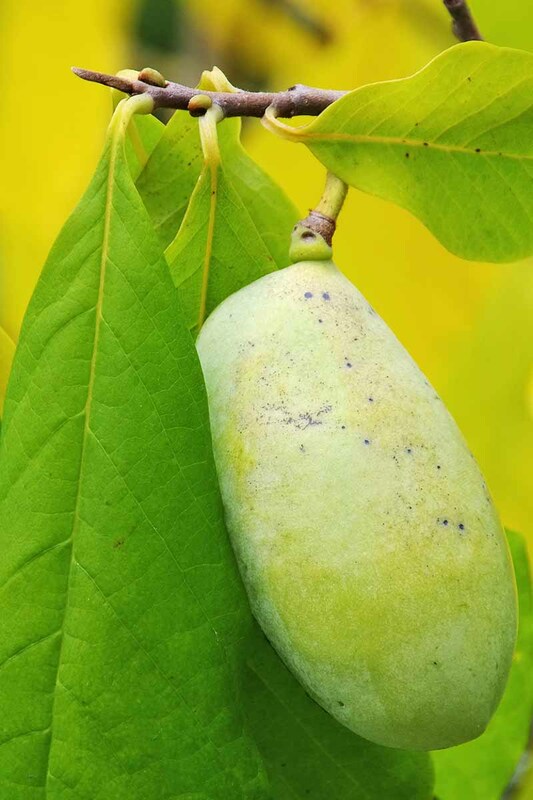 Pawpaw is not prone to pests or disease, especially when you start with a plant that has been expertly bred. Fungal or bacterial leafspot sometimes occurs on leaves that are too wet for too long, and may be treated with a copper-based fungicides. Be sure to choose one that is safe for use on edible fruit. 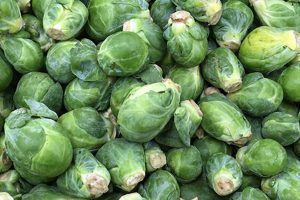 If you start from seed, it may take a couple of months before you see a sprout, because the long tap root grows first. Water deeply once a week during the growing season, and more if rainfall is scant (link to rain gauge article). 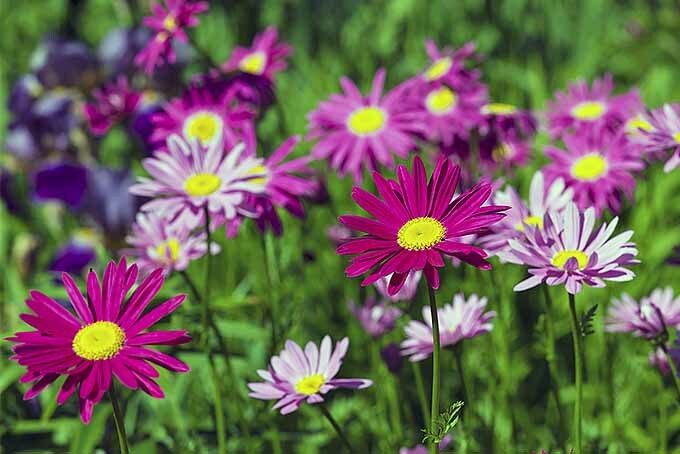 You may apply a diluted all-purpose fertilizer to seedlings per package instructions. 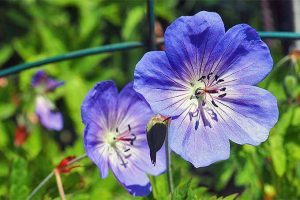 The experts at University of Kentucky College of Agriculture, Food, and Environment say that first-year seedlings are very sensitive to ultraviolet light and require shading from intense sun, mulch, and consistent watering during dry spells. 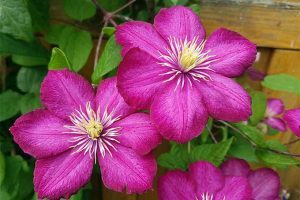 They also recommend that suckers, the new shoots beside the main trunk, be hand pulled, as opposed to pruned or mowed, because the latter methods encourage more to grow. Of course, if you want a patch, leave them alone. Similarly, fruit that falls and decays contains seeds that may sprout. Remove unwanted seedlings by hand pulling. 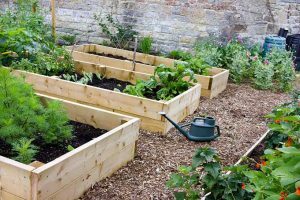 In spring, apply a layer of mulch to aid in keeping the soil moist. Pruning is not required, except to remove dead or damaged branches. However, as fruit sets on new growth, some people prune in an attempt to increase yields. 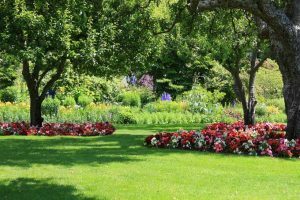 You may fertilize mature trees and shrubs each spring with an all-purpose, slow-release granular fertilizer. 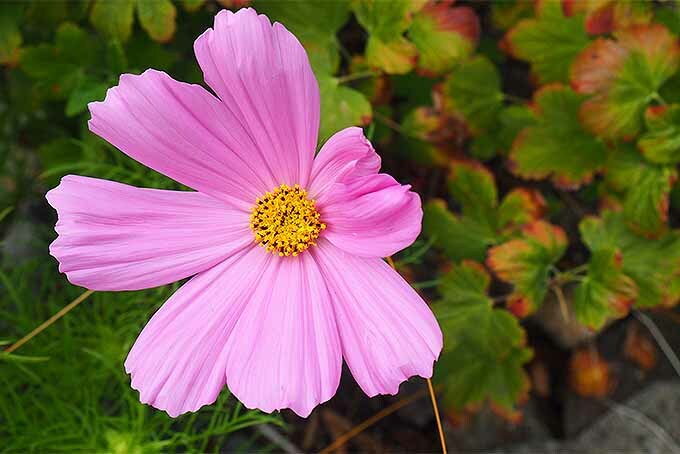 Sprinkle it in a circle a few inches out from the base of plants. As weeds begin to grow in summer, clear them away to inhibit pests and disease. Be patient when expecting fruit. It may take up to eight years before it appears, although some of the newest cultivars fruit much sooner. Take care to maintain even moisture while fruit sets, as a drought may cause it to suddenly drop off. 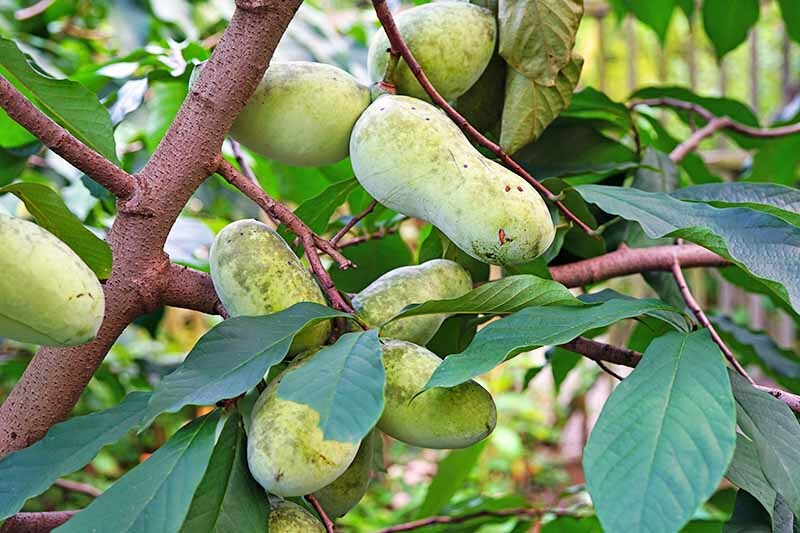 “The Pawpaw collection consists of 2 pawpaw plants of two different varieties so the plants will pollinate one another for better fruit production. Fall is harvest time in the pawpaw patch. There is variation among the different cultivars, but September is generally peak pickin’ time. This is when green fruits begin to soften, generally turning yellow and then brown. It’s hard to know when to pick, and many folks use the time-honored technique of shaking the tree or shrub and taking home whatever falls off. 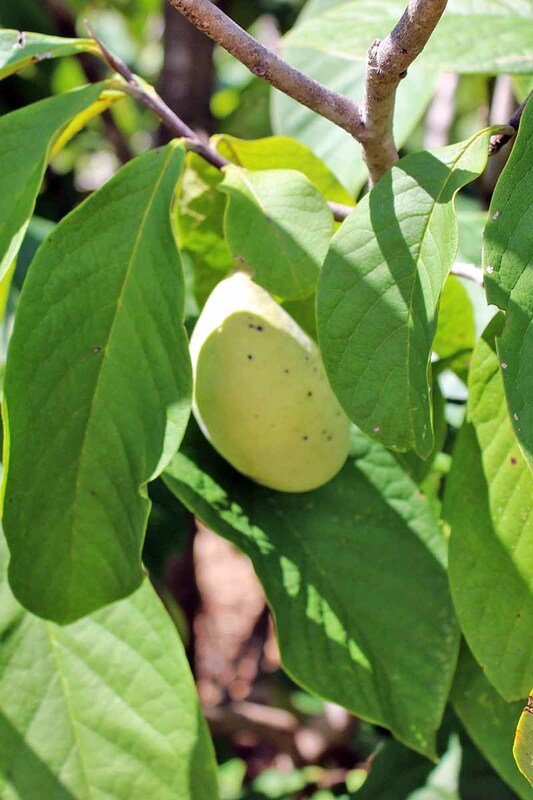 Don’t pick too soon, because a pawpaw ripens best on the tree, and may not ripen further after harvesting. 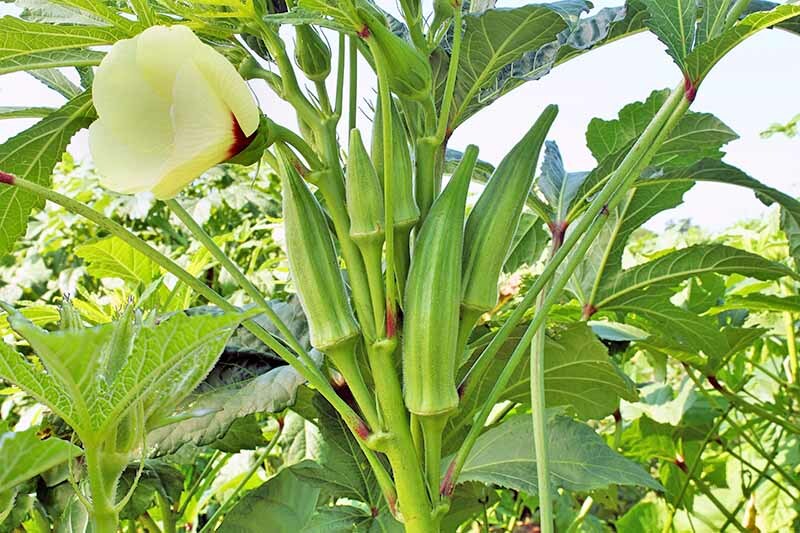 You have about two days to consume your crop before it starts to rot, so don’t waste any time! Simply slice the fruit lengthwise, remove the seeds, and spoon up the sweet, creamy, yellow pulp for a truly tropical sensation. Freeze any pulp you can’t consume fast enough, and use it in everything from breads and cakes to mixed drinks, ice cream, and smoothies. I don’t recommend refrigeration because fruits picked ripe are on the verge of rotting, and emit a strong, albeit fragrant odor. See you in the pawpaw patch! 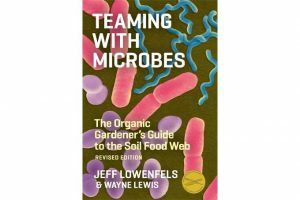 If you enjoyed this article, you may enjoy others on topics such as growing fruit trees, ornamental trees, and landscape shrubs. 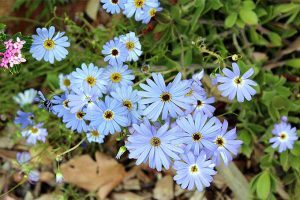 And if you’re a native plant aficionado, you won’t want to miss our collection of true-blue wildflowers. Product photo via Burpee. Uncredited photos: Shutterstock.